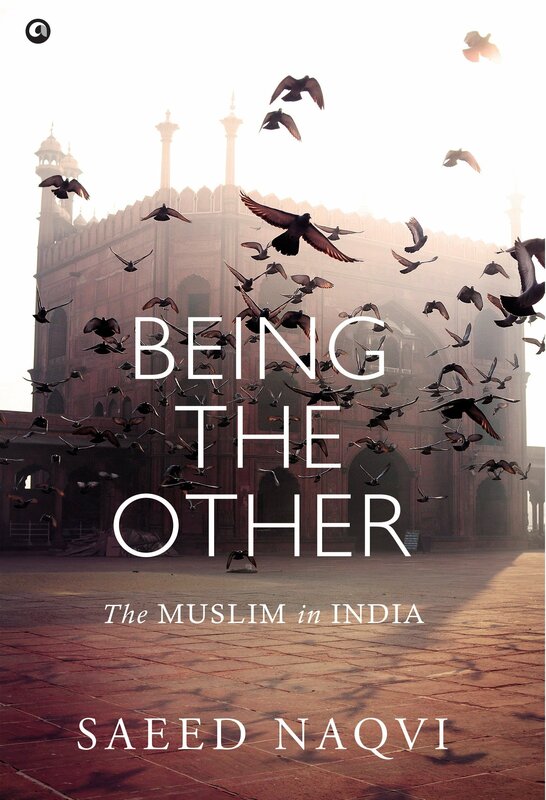 All in all, Saeed Naqvi’s new book titled Being the Other: The Muslim in India is a great contribution to understanding the making of Modern India and how the political economy succeeded in creating a divide among Hindus and Muslims. It is such a coincidence that I got to read Saeed Naqvi’s new book titled Being the Other: The Muslim in India (Aleph, 2016) just as we were getting ready to submit our report to the Chief Minister of Telangana. I have been a member of a committee set up by the state government to look into socio-economic inequalities and deprivation among Muslims. The question that we were asked to address was whether reservations in educational institutions and government employment be extended to the Muslim community or not. The report is ready and am sure will be debated over the next few days. Saeed Naqvi’s book too discusses the various factors our report looked into. It was fascinating to read his book with its amazing insight into what being Muslim in India means today. For someone who has watched the last 7 decades of independent India closely, and written prolifically on the same, Naqvi is a rare breed. This book, partly autobiographical, partly lyrical, journalistic and descriptive, is a vivid account of the journey of a community within a nation. Women are shown in the (love jihad) campaign as being incapable of taking independent decisions – they can only be seduced or abducted; they cannot, by choice, fall in love with a man of another community […] Religion today is not a route to finding peace. It is a tool to subjugate the enemy other. When one reads Nilanjan Mukhopadhyay (columnist and author of The Demolition: India at the Crossroads and Narendra Modi, The Man, The Times, published by Harper Collins and Westland respectively), one is immediately struck by his incisive understanding of Indian politics. Engaging in knee-jerk generalizations may be particularly easy given the currently polarized political climate, but his critiques are more meticulous–and munificent when they need to be. 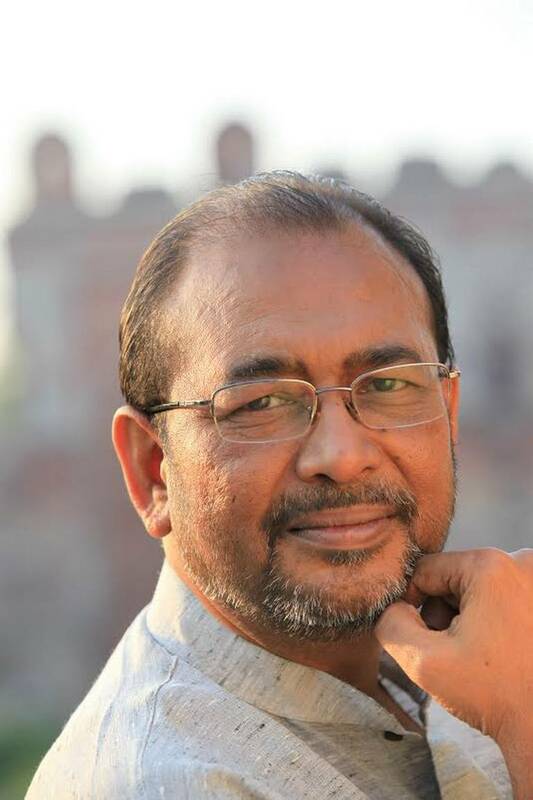 When we first got in touch, I absent-mindedly addressed him as Professor Mukhopadhyay (as an academic, “Dr. and “Prof.” being my default modes). He wryly confessed that he was not a fan of formal education, and was a college dropout. (“Couldn’t resist that wisecrack!” he said.) As someone who agrees that college can sometimes seriously interfere with education, I was delighted. “Then I shall always address you as Prof. M,” I responded, with equal parts of affection and admiration. In our chat below, he generously shares his views on religion, right wing politics, journalism, “love jihad”, Modi, masjid, gender, caste, and the challenges ahead for Indian democracy. Did you always want to be a journalist? Do share some of your insights on journalism. I couldn’t have been anything else but a journalist because of the unplanned manner in which I got into the profession. I joined Jawaharlal Nehru University almost straight out of school, to pursue a 5 yr integrated MA course in Russian Language & Literature. But I had an unarticulated angst against formal education. I wanted to be a self-made person and did not wish this route to be through formal education. But by the time I came to JNU, the option of becoming an entrepreneur was foreclosed. I did make some money on the side by picking up stray assignments as a guide for Russian tourists but did not see myself as a lifelong ‘Raju Guide’ type. I also used to take pictures at the time and was secretary of the photo club, and a friend who was working in a monthly magazine asked if I was willing to do the photos for a story on Chambal dacoits. This was in 1981-82, prior to the big surrenders of Malkhan Singh and Phoolan Devi. I did the pictures and when they were published, I quite liked seeing my name in print – my first byline. Around the same time, a Mrinal Sen retrospective was being screened. During a break, a friend and I saw Mrinal Da in the lobby and mustered courage to seek an interview. He heard that we were students and invited us for breakfast the next day at the hotel where he was staying. I typed out the interview after transcribing it by hand from my tape recorder. That was the first time I had typed anything – and with a single finger, one on each hand! Prime Minister Narendra Modi on Thursday hailed Mauritius for enriching Hindi literature through its contribution and said the language has occupied a special place in the world. On the second leg of his three—nation visit, Modi wished the people of Mauritius on behalf of nearly 125 crore Indians on the occasion of the country’s National Day. An extensive collection of 100 essays, India Shastra makes for discerning reading, and offers much food for thought on contemporary India and events from its recent history that have contributed to its present state of affairs in the political, social, economic, cultural and communal arenas, writes Monica Arora. As a public figure and an eminent politician, Dr Shashi Tharoor has carved a unique niche for himself in public perception and media, owing to his several “trysts with destiny”–of both favourable and unfavourable hues–on social media platforms as well as in real life. Truth, it is said, is sometimes stranger than fiction; and who could be a better example of having lead such a chequered life amidst harsh scrutiny and comments–some warranted and some unwarranted– from all quarters of socio-political arenas and platforms? 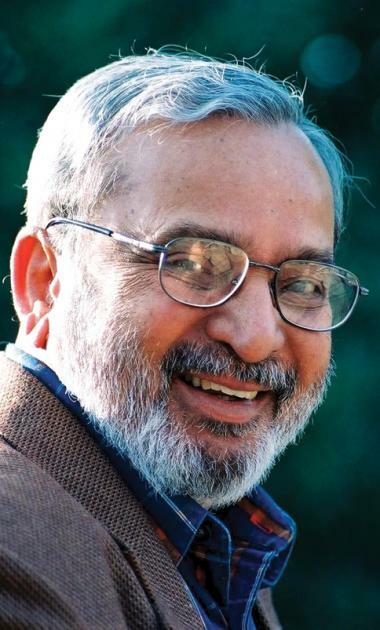 What can be said undeniably of this extremely charming, suave and articulate writer-politician with a large body of experience–he was the Under-Secretary-General of the United Nations, which he served for 29 years, he was a former Minister of State for External Affairs in the Government of India; currently he has been re-elected as a Member of Parliament from the Thiruvananthapuram constituency, and chairs the Parliamentary Standing Committee on External Affairs–is that he is a very insightful writer and an author par excellence. 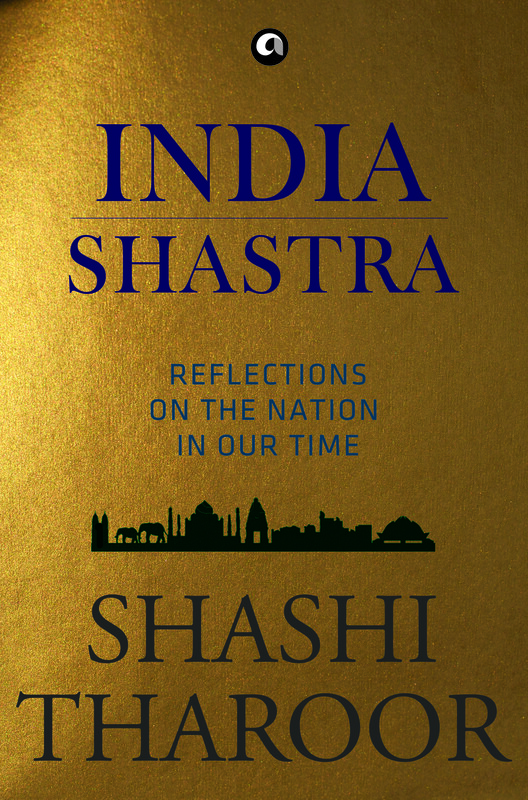 His astute sense of perception, and his understanding of both the micro-level of Indian politics at the grassroots as well as the holistic picture at the macro-level, is evident from his latest book India Shastra: Reflections on the Nation in our Time. An extensive collection of 100 essays, it makes for discerning reading, and offers much food for thought on contemporary India and events from its recent history that have contributed to its present state of affairs in the political, social, economic, cultural and communal arenas. What parts of the Gandhian legacy are important for you? His suspicion of the modern world system is one. The modern world system will destroy the earth, will destroy the sky, will destroy the balance bet­ween nature and man because it is very greedy. Gandhi’s rejection was sometimes extreme. But extremes can open the gate of heaven, that’s what they have said. So Gandhi exaggerated at times, but in the main you know that. He used trains all the time. But he said we could live without trains. He rightly feared centralisation. Gandhi was also friendly towards nature. There are many valuable Gandhian ideas. The whole idea that small is beautiful comes from Gandhi. So he wanted such ideas to govern the whole country. He didn’t like big buildings.